Until this year, energy conservation wasn’t a pressing issue on Lana Cartier’s mind. Often spending summer days with the air conditioning on full blast and a few TV’s playing quietly in various rooms in their home, she and her boyfriend Daniel regularly paid up to $400 per month on their SCE bill. 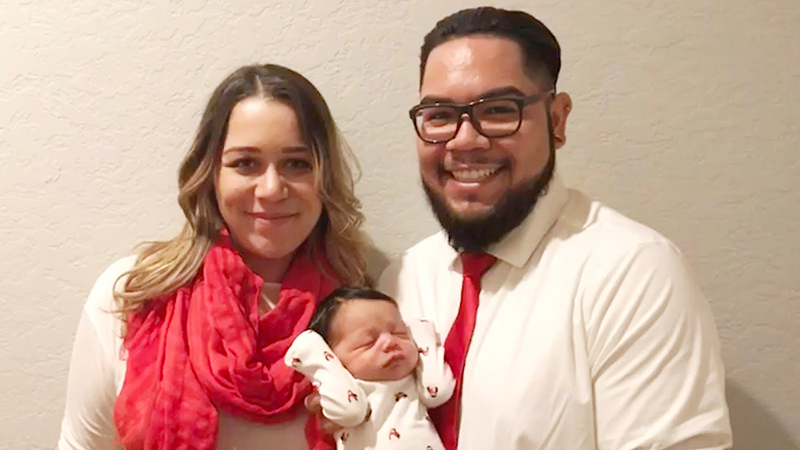 Their monthly expenses came into sharp focus early in 2018 when the couple welcomed a new baby and Lana was laid off from her job. She read about OhmConnect on Penny Hoarder, while searching for ways to make a bit of extra cash for things she was already doing. And her energy-saving efforts certainly paid off. Simply by paying attention to what was plugged in and the times of day that they were running their air conditioner, Lana and her boyfriend brought their summer energy bill down, on average, by about $200 per month. The couple, from Redlands, CA, started small, simply turning off the TV during #OhmHours, and felt happily surprised when they received the first energy payment. Unplugging whatever was plugged in. Lana and Daniel began cashing out their earnings as Target Gift Cards, spending on essentials for Calvin like diapers and baby formula. The MEGA Summer program and their drastic energy savings (they went from an average energy forecast of 7KWh to reaching targets below 1KWh) meant that they earned enough to stretch beyond just the essentials. And the conservation has gone beyond #OhmHours for Lana and Daniel. They cleaned out their home and cut down on the number of electronics and even upped their recycling game. As an OhmConnect user, Lana has a unique referral code that will score her $20 for anyone who signs up on her team. Want to give Lana a virtual high five to say thanks for sharing her story? Sign up on her team!